Ever stopped to consider how your hard earned cash might be assisting the expansion of the fossil fuel industry? Market Forces is a grassroots group storming the Australian divestment scene. Divestment campaigner Govind Maksay tells us how our filthy lucre can be a force for good. Here is the bad news first (don’t worry a solution is coming): if you bank with one of the big four Australian banks (ANZ, Commonwealth, NAB and Westpac) your money is helping finance new coal and gas projects in Australia. Luckily there are lots of alternative banks you can easily move to if you want to clean up your personal finances. Switching banks is an extremely powerful action you can take to protect our climate and it's one that's gaining momentum. Market Forces was established in 2013 to reveal how financial institutions use our money to finance environmentally destructive projects and help people align their money with their values. Our research has revealed that since 2008 ANZ, Commonwealth Bank, NAB and Westpac have collectively invested almost $19 billion in new coal and gas projects in Australia. Many of these projects are in controversial areas such as Maules Creek in New South Wales and the Great Barrier Reef coastline. Significant parts of the Leard State Forest, which is home to more than 30 threatened species, need to be cleared to make way for the Maules Creek coal mine. The proposed coal port expansions within the Great Barrier Reef World Heritage Area have prompted the World Heritage Committee to warn the Australian Government that the area will be placed on the List of World Heritage In Danger, giving them 12 months to clean up their act as of June 2014. Simply put, the banks are using our savings and the interest we pay on personal loans and mortgages to expand the fossil fuel industry precisely at the time when we need to kick the fossil fuel habit. Obviously, when you invest in an industry you want to see it succeed and prosper. By investing in new coal and gas projects the big four banks want the fossil fuel industry to succeed. They want to see lots of coal and gas extracted and burnt and healthy profits returned to them. The question we need to ask ourselves is if this vision of the future is one we want to support with our money. Well that is the problem. Now let’s turn to the solution. For the last year Market Forces, in conjunction with 350 Australia, has run a series of bank switch divestment actions targeting the big four banks. These actions have formed part of the broader fossil fuel divestment movement. Divestment is simply the opposite of investment - it means taking your money out of institutions and companies that you no longer wish to support. The bank switch divestment actions have consisted of hundreds of customers of the big four banks publicly closing their accounts and switching to banks that have publicly declared they are not investing in fossil fuels. On 3 May 2014, we organised our largest ever national divestment day during which over 600 customers turned out. The amount of business shifted away from the major banks has been reported at over $200 million. People have found taking part in these events inspirational. There is something very powerful about aligning your money with your values and doing this in a public manner. Customers have enjoyed cutting up their old bank cards, personally delivering letters to the banks informing them why have switched and meeting like minded people. The fossil fuel divestment movement is especially important given the current political context in which our governments are refusing to take strong action on climate change. Cleaning up your personal finances and taking part in the fossil fuel divestment movement is a powerful way to stigmatise the fossil fuel industry, stop the flow of money to this industry and demonstrate to the government that we want strong action on climate change. Many smaller banks and credit unions have also made similar public statements and have contacted Market Forces asking to be added to our banks comparison table. In May and June, three large international banks (Deutsche Bank, HSBC, and Credit Agricole) publicly declared they are extremely unlikely to providing funding to the controversial Abbot Point coal port expansion, given the World Heritage Committee’s concerns over its impacts on the Great Barrier Reef World Heritage Area. So simply put, the fossil fuel divestment movement is having a tangible impact and it is a great time to get involved. The response from the fossil fuel industry clearly demonstrates it feels under threat. In April 2014, the Minerals Council of Australia (MCA) launched a campaign called Australians for Coal aiming to promote the case for coal and develop a grassroots movement supporting the coal industry (this backfired spectacularly when climate activists took more enthusiastically to the Twitter hashtag #australiansforcoal than coal supporters - Ed). The MCA has also been actively lobbying investors and superannuation funds about why fossil fuels are still a good investment. To date, hundreds of people have switched away from the big four banks and the campaign is having an impact. We need more people to join and help grow this movement. Will you make the switch and ensure your money is creating a hopeful vision of the future? A future in which we are addressing climate change and the world is powered by renewable energy rather than dirty fossil fuels. Find out more about Market Forces and 350 Australia divestment campaigns. Check out more groups using market based campaigns to stop corporations from trashing the planet. Have a laugh at the expense of the coal industry. Follow the tags below to find other articles on related topics. Govind Maksay is a campaigner at Market Forces. He has worked with environment organisations for nearly 10 years and has a background in residential energy efficiency research. Govind decided to get involved with the fossil fuel divestment movement because of its potential to bring about significant action on climate change. Paul Sharp has changed the way people think about plastic pollution all over the world, and he's done it with little more than his own two hands. So what's the secret of tiny groups making a massive difference? Is it time for peak groups to take a masterclass in back to basics? After a moribund start in in the 1800s, Australia's environmental and social conscience kicked off on a grand scale with the mass public protests of the 1960s. Tactics quickly evolved and diversified to incorporate banner drops, green bans, boycotts and blockades. Environmental organisations like Friends of the Earth and The Wilderness Society emerged to provide a framework for organisation, translating community concern into social and political force. In this form, the environment movement made huge conservation gains and succeeded in the mainstreaming of kooky and extreme ideas like saving water, putting rubbish in the bin and recycling. Today environmental organisations must constantly test out new angles to maintain traction on an eroding, slippery slope. According to polling (and Google search history), environmental motivation is on the decline. No one's searching best anti-nuclear placards any more. Add to this the thundering winds of change unleashed by the internet, and the tried and tested methods that form the foundation of environmental campaigns have an ever steeper hill to climb. So how do they make it look so easy – the Two Hands Project? About three years ago Paul Sharp and Silke Stuckenbrock got fed up with plastic pollution along their beloved Western Australian coast. Aiming high, they began to campaign for a global reusable container system to replace disposable packaging, and a “cash for butts” scheme to deal with the omnipresent curse of cigarettes. But they weren't going to wait around for the results, they wanted to demonstrate the immediate power of their own two hands. In this short amount of time, with no significant funding, no staff or infrastructure, Two Hands has attracted an online following of 36,000 plus, created collaborative projects across the country with a bevy of small community groups, partnered with Tangaroa Blue to record and research plastic waste collected, held actions at corporate headquarters returning rubbish, and emboldened tens of thousands of people from Egypt to the Netherlands to spend 30 minutes cleaning up their beach, take a photo and share the results. The tonnes of rubbish removed from the environment because of Two Hands is unquantifiable, although Paul gives some indication of the reach a small group can have. He was inspired to start the project after clearing 3 tonnes of trash from Sydney Harbour in just three months worth of weekends with Eco Divers volunteers. Two Hands have no problem attracting traditional media, featuring on 7 News, in The West Australian and Gardening Australia magazine. Less traditional methods of exposure include manipulating Coca Cola's personalised billboard in Kings Cross that for a time would flash your name in lights if you texted it in. The names Tencent and Refund replaced the more common Amanda and James when Two Hands used this platform to subvert Coke's opposition to a national container deposit scheme. In August, the Two Hands crew sailed the east coast to sample for ocean plastic, inviting people from coastal communities along the way. With an eagle eye on the big prize, they are working with industrial designers to develop a prototype for mass market re-usable containers. Paul is very modest about the role Two Hands plays in the environment movement. He sees it more as a catalyst for action on plastic pollution than a formal organisation or campaign. A quick browse through the Ecoshout Active groups directory reveals the diversity of groups campaigning for social change today. The thing the most effective and longstanding groups share is how much they love what they're doing and how good they are at telling you about it. In other words, it's blatantly obvious they're all having heaps of fun. Just check out the pictures on the Two Hand's Facebook page – hundreds of photos of people sitting behind piles of rubbish, flashing twinkle fingers. It was a kid that really brought it home to Paul that things weren't right in the first place and made him want change. He was sitting on the beach watching a girl making a sand castle. She was having great fun. It was a simple, beautiful site. Then Paul realised she was decorating her creation with bits of rubbish collected from around her, where in his childhood he would have reached for rocks and shells. "It's become so normal for kids, they see pollution as part of their environment, they barely notice it. For adults, its seen as mainly an aesthetic problem. We're trying to change the perception that plastic is litter. It's pollution and it causes big problems for wildlife." It's clear that social media has given small groups communication power they could only have dreamed of before the internet. Two Hands are adamant that their success lies not in being experts in plastic waste, but in how they communicate the change they want to see and how they engage with people. Above all, Paul wants us to know that this extraordinary group is nothing special. Paul wanted to see change, he joined in with existing projects and got inspired to do what he could with his own two hands – and did it. Why ask for action when you can take it? Climate change. What more is there to say? For anyone still under the impression there's some kind of debate (a belief easily achieved by reading The Australian) NASA reports that 97% of climate scientists agree – it's people causing the planet to perspire. But then again, why trust NASA? All them fuzzy headed lentil munching astrophysicists would be out of a job without their self serving greenie conspiracies. 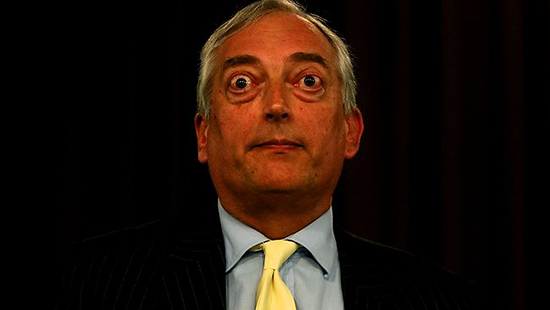 This guy, known as Lord Monckton (because that's what he tells us his name is), isn't convinced about climate change. Ironically, the House of Lords isn't convinced that Christopher Monckton is a Lord, mostly because he's not. Christopher disagrees. Consequently, the House has made public its request that he cease and desist in claiming to be a member of the upper house of parliament. But I digress. We're talking about a serious debate, right? I mean even our leader, our beacon, our Prime Minister doesn't believe in science, I mean climate change. He does believe in climate change? Oh yeah, he does now (brain delete “the climate change argument is absolute crap”), he just doesn't think it has an impact? Or that we should talk about it during bush fires? Or take any action? No no, he's got a Direct Action Plan that's so full of action they've put the word “action” in its title. Only some people don't think the plan is that good, like 33 out of 35 economists (ferals) from Australia's leading universities interviewed by Fairfax. One of the two economists who did think the plan was good, UQ professor Paul Frijter, said he'd not describe it as direct action but simply as no action. "I think the government's current policy of 'no policy' is exactly the right one to take for a small country like Australia," he says. Notwithstanding Paul's unhelpful comments, let's take Tony on his word, believe that he takes climate change seriously (brain delete appointment of Maurice Myth of Climate Change Newman as chief business council adviser), is concerned about the impacts already taking place (brain delete “complete hogwash” and “talking through her hat”) and is right now implementing effective strategies to mitigate future impacts (brain delete the abolition of the ministry of science, the ministry of climate change and Climate Commission; CSIRO sackings; the push to dismantle the Climate Change Authority, Carbon Pricing Mechanism and Clean Energy Finance Corporation. And the immanent demise of federal environment legislation. And the failure of any senior minister to make it to this month’s global climate talks. And the whole coal industry subsidisation and expansion thing. And the defunding of the renewable energy sector). Ummmm. The most pertinent question that springs to mind when considering the climate change debate is none of the following: Is the climate changing? Is it because of carbon? Is it because of people? How much of it is because of people? Is it really that bad? Who's responsible to do something? What's the best way to fix it? No, the most pertinent question is: how thick do you think we are? The other questions are easily answered and have been thousands of times: yes, yes, yes, enough that we need to stop, yes, everyone, anything that makes carbon emissions go down instead of up. It's not rocket science, but NASA's onto it. The newspapers are still writing to us like we're thick. The politicians are still talking to us like we're thick. I have access to the internet Tony, I know what you're doing. And I know how high the stakes are. The reason people who talk honestly about the impacts of climate change are called alarmist is because the topic is genuinely alarming – there's no way to sugar coat global devastation. Things are looking bad and they're going to get worse. And really, things are already worse for lots of people around the world. We knew this many years ago and the knowing keeps piling up. So why are we still acting as though we're hoodwinked? Forget taking decisive action, we're still afraid to use decisive language. It's time to say it like it is. On Sunday 17 November, 60,000 people across Australia called for more action on climate change. Again. Tim Flannery told 30,000 in Melbourne that Australians must make their voices heard. "The simple truth is this: that we cannot leave a matter as important as climate change to the fickleness and whim of Australia's politicians." Good. As former chief of the Climate Commission abolished by the Coalition, Tim is well placed to talk about taking things into our own hands. It only took one week to raise $1 million through crowd funding to get the renamed Climate Council back in action. So let’s cut out the middle man because he's clearly taking the piss. Can we please stop asking our politicians for action on climate change and just say it like it is – we're not deranged, we can see that the Emperor is a twit, willfully choosing actions that are killing life and positioning the planet more precisely on the tracks to hell. 350.org is an international organisation whose original goal was to ensure we kept the concentration of carbon in our atmosphere below 350 parts per million – a level deemed the safe upper limit by many scientists. We're now around 400. 350.org don't talk about climate change, they talk about climate crisis. They think companies that have a long term plan to stick to fossil fuel extraction are criminal and treat their behaviour as such. While important environment organisations in Australia focus on lobbying government just enough to maintain cooperation towards inadequate attempts at reaching inadequate goals, 350.org are demanding that the fossil fuel industry immediately stop exploring for new hydrocarbons, stop lobbying to preserve their tax breaks and pledge to keep 80% of current reserves underground forever. “Our demands to these companies are simple, because they reflect the stark truth of climate science,” they say. Some may think their demands are a little high. That's a hell of a lot better than futile. In any case, 350.org aren't really asking. While governments and industries fail to respond, 350.org are busy picking off their investors with the help of thousands of people who are divesting from the fossil fuel industry themselves and pressuring their institutions to do the same. There are 350.org collectives in five Australian states/territories, telling their universities to end financial fornication with dirty coal. There's plenty of Australian born groups taking the point blank approach as well. In Melbourne, Quit Coal is employing direct action in the true sense of the phrase to bring the end of coal out of our dreams and into our lives. Rising Tide brings hundreds together from up and down the east coast to block exports from our country's largest coal port in New Castle. Beyond Zero Emissions has mapped out a fully costed transition plan for getting Australia to zero emissions in ten years. Climate Code Red do not cease to implore for an appropriately urgent response to this emergency situation. The time for debating and convincing is well past. Lord Monckton and Lord Abbott are not going to change their minds. The people with the power to abate this life threatening catastrophe who instead are doing the exact opposite, should be spoken to and of like the wanton destroyers they are – above all those who are profiting from our demise. We've done denial, debating, and dancing around, we've done the limbo and the hot shoe shuffle. We've done polite, encouraging and lifestyle change, we've tried not to be too scary and say no worries. And the results are truly terrifying. People care less about climate change now than they did ten years ago. As the scary (and successful) Steve Buscemi said in Armageddon, it's time to embrace the horror. That carbon level graph – have you actually had a look at it? It's not shaped like a hockey stick people, it's shaped like a scythe. So hug the horror tight and let it propel you to amazing new places and possibly even change the world.